With over 42,000 designs on file, this picture shows just a few. Embroidered in 15 colours if required and any shape or size. Low minimum order. 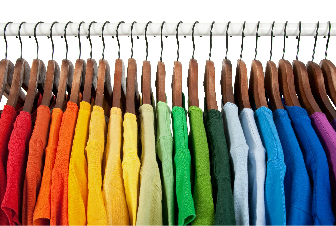 Our clothing catalogue contains an extensive selection of casual and corporate clothing all of which can be embroidered or printed with your club or company logo. All work is carried out at our own factory, here in Kilcreggan. Eyecatching printed coffee mugs with logos or photographs reproduced in vivid full colour. Supplied in cartons of 36 pieces. 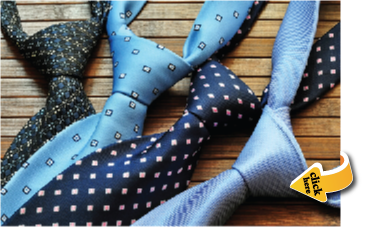 With a minimum order of only 50 ties, your company or club logo is woven directly into the silk or polyester fabric creating a beautiful product of distinction. Shadow weave and multi logo patterns can be used. 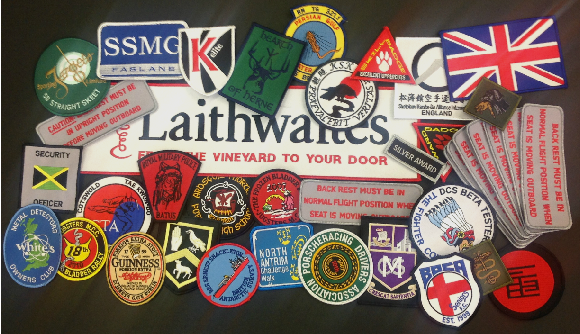 For over thirty years, Ensign Motifs have been supplying high quality, personalised items to companies, the armed forces, clubs, schools and colleges. They are now widely recognised as one of the UK’s leading embroidery and promotional garment suppliers. Ensign Motifs is probably the only company that started life beneath the waves of the Atlantic Ocean. Chris Feeney and Tony Page previously worked together in the Royal Navy when they were serving on board the Polaris Submarine, HMS Resolution. In 1980 they started a small operation offering garments and souvenirs to their shipmates. As word spread, they received an increasing number of requests from other ships and submarines who also wanted their own items produced. Five years later, Chris and Tony retired to concentrate on developing their fast expanding business. The rest, as they say, is history.